Look around the internet, watch cable TV, or stop into your favorite restaurant or bar. There are bloody Mary’s all over the place. Books have been written, contests have been waged, and bartenders from around the country seem to be competing to create the most impressive bloody Mary cocktail. A drink that started as a simple combination of gin and tomato juice has seemingly grown into a national pastime. Let’s take a look at why this drink has enjoyed such attention. Complexity – The American Chemistry Society, (ACS), recently studied the chemical properties of many of America’s most popular drinks- everything from juice to soda pop to highballs. 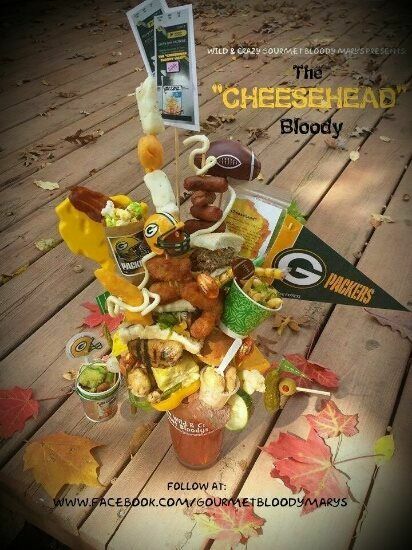 They found the bloody Mary to be the most complex of all. Self Expressionism – Order a screw driver, or a gin and tonic. As long as the booze is good, and it’s properly chilled, it’s likely going to be right. The complexity of a bloody Mary drink affords a high degree of personalization. Levels of heat can be customized. Hundreds of spice combinations can be used. Additional flavors can be introduced through infusing vodkas. From homemade tomato juice to Clamato, there is a plethora of textures and flavors available to personalize the drink. This personalization does not stop at the top of the glass. Special rim salts add additional taste sensation to the drink, and the garnishes that adorn them can rival an all you can eat buffet. Chronic Alcoholism – Let’s be honest. This drink was created to hide the morning consumption of alcohol. A glass of tomato juice looks just fine next to a plate of bacon and eggs. Drop a celery stalk in and you can literally hide behind the drink. And so it would seem the perfect storm. Start with a need – the age old need for a drink. Create something remarkably complex in flavor. Add your own personal touch. Pimp that thing out with all that is edible with form and style. Share it with your friends. It’s the century’s favorite epidemic – a real big fat bloody deal!